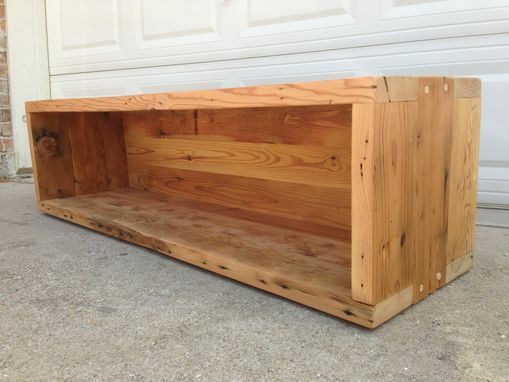 This reclaimed storage bench is perfect to set at the foot of your bed, in a hallway or under a window. It has storage underneath for shoes, blankets, pillows, etc. and fits a variety of decors. It is finished with a water based polyurethane to keep the natural color of the wood while offering protection from spills and scratches. Shown here is 60" x 15" x 15". 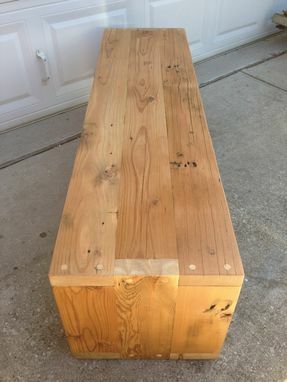 Bench can be made to any dimensions you want.